The summers in Lake County are so hot you could light a medicinal marijuana cigarette right off the sidewalk. So when Lake County operatives crave ice cream -- and lots of it -- your LakeCountyEye directs them to Fremont Township. Because that's where all the double dippers are. But as much as your LakeCountyEye loves that joke, this may be the last time you'll get to hear it. Your LakeCountyEye recently received a cease-and-desist letter from the Ice Cream Advisory Board. Who knew? -- but the term double dipping along with other terms like sherbert, sorbet, gelato, softserve, hardpack and brainfreeze are protected property of the ice cream industry. And the Ice Cream Advisory Board would be so very pleased if your LakeCountyEye could cease and desist from using the term double-dip without proper attribution. Now your LakeCountyEye doesn't know who invented it, nor particularly cares for the term double-dip -- and would be happy to have a better substitute. The correct term of the art is dual mandate -- the practice in which elected officials serve in more than one elected or other public position simultaneously -- but that's a term only a policy wonk could love. Look for your LakeCountyEye double parked near you. 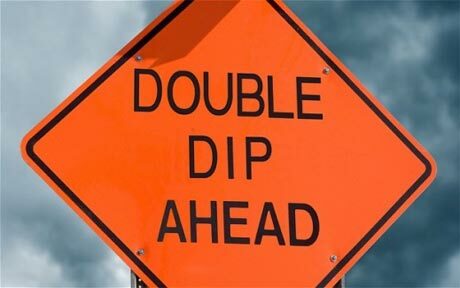 I thought Pat Quinn copyrighted the term "double dipper" when he was still an outsider. I thought Jim Oberweis owned the trademark on double dip.